Our Kyrie socks are inspired by one of our favourite players on the hardwood right now. One of the limited edition vests that he has been playing in this season seemed to make it all click in our head, so we thought he should have his own sock and I think these colours look ace together. 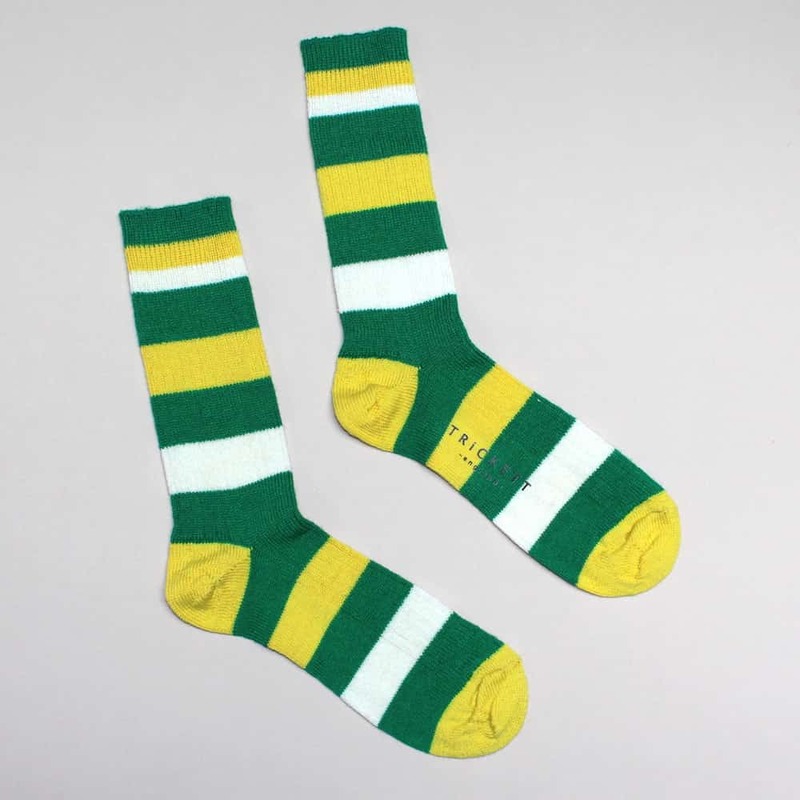 Our socks are made in the UK by Neil and his team and come in kelly green, yellow and off white British wool. They are ribbed for extra security and are super lovely, try your best not to boil wash these like!